Mesa's U.L. Classified Fire Safes offer the best protection available in today's market and give you the perfect amount of storage for your home or business needs. Fire protection is key, but burglary protection is just as important. 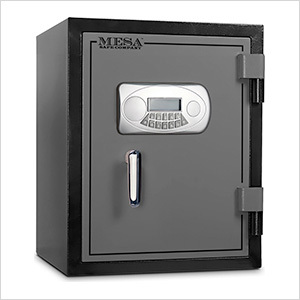 This is why Mesa Fire Safes are made with all steel construction, unlike the competition. Keep your passport, birth certificate, deeds, insurance information or any other important documents and valuables safe, should the unthinkable happen.